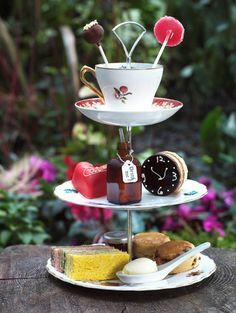 Somehow, teas and faeries just seem to go together, so why not host a whimsical tea party based on a fairy theme? 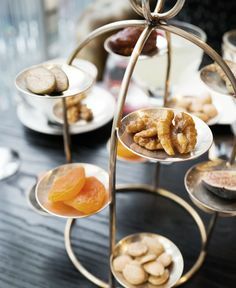 Kids of all ages will love this type of party, and it gives everyone a chance to sample some wonderful floral teas that they may not drink on a regular basis. You can create a magical party with a lot of imagination, and who knows? Maybe the fairies will make an appearance! Depending on the age of guests, you can have a wide range of activities available if so desired. Many arts and crafts activities are fun for kids of all ages. Make wands, create fairy sun catchers (low cost kits can be purchased at craft stores), or even read fairy tales. Guests may also enjoy creating or painting fairy figurines. If there is a fairy expert in your area or an artist who specializes in fairies and fantasy, ask that person to be a guest speaker. When you start asking around, you may be surprised at how many fairy fans there are! Get creative in the room by making a fairy ring so your guests can step inside and make wishes. Or think of ways you can make fairy dust, such as mixing colored sands (available at most craft stores). You can also go on a fairy hunt, either inside or out; whether or not you choose to hide fairy figurines or hope to find the “real thing” is up to you! Fairy decorations are abundant; the hard part is choosing. There are many low-cost fairy themed party packs or supplies sold through party stores or online. Purchase lightweight and whimsical fabric to drape around the room, creating an “airy” feel. Use pastels to create a fairy mood. You can also purchase shiny cutouts such as stars to spread around the tables and floors. If you’re in the mood, purchase or make wings for your guests to wear, or as the host, you can dress as a fairy yourself. Any type of whimsical garden and nature theme will work as well. Create tree and flower decorations or purchase flowers to decorate the tables. Let your imagination go wild! At a loss for what music will set the mood? Think classical and airy, such as harps or “new age” music. For fairy-specific music, ask your local retailer. Some ideas are Fairy Nightsongs by Singh Kaur and Gary Stadler, The Fairy Ring Suite, by Mike Rowland, Victorian Fairy Harp Music by Elizabeth Jane Baldry, and Come, Gentle Night by Music of Shakespeare’s World/Galilei. You can purchase fairy-inspired invitations at a party shop, online, or make your own. To capture the colors and theme, look into the wide range of specialty papers available through local retailers. Many copy stores offer a broad selection. Create a nice invitation using colored tissue paper cut and place over regular paper. Take advantage of you computer graphics as well to create unique invitations for your party. If you choose to use glittery cutouts for decorations, you can also include some in the invitations–just remember that while some people will find this fanciful, others may be annoyed if many small pieces fall out. Think small and dainty! 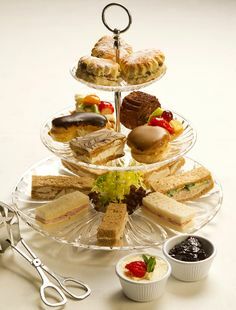 Finger sandwiches are a perfect choice for a faerie party and a good compliment for tea. 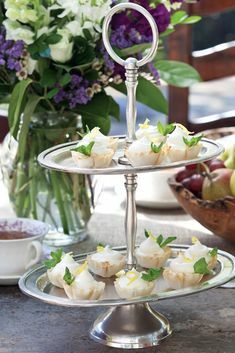 Small cookies and deserts are also a good choice, and you can decorate them to match the theme. Fruits, nuts, and cheeses are also an excellent choice. Faeries don’t like salt, so avoid these types of foods. 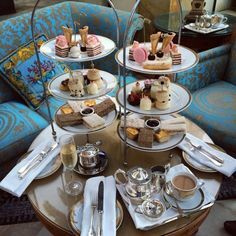 What types of teas are best for a faerie party? Those with a floral flavor such as Bloomsbury Afternoon available through www.Gilly.com or Lychee tea, which is a smooth China black tea blended with the nectar of the lychee fruit, available through www.TeaSource.com.